Can Dogs Have Vinegar? Fascinating Fact: 1 Tsp Won't Hurt! ​Can Dogs Have Vinegar? Fascinating Fact: 1 Tsp Won​'t Hurt! 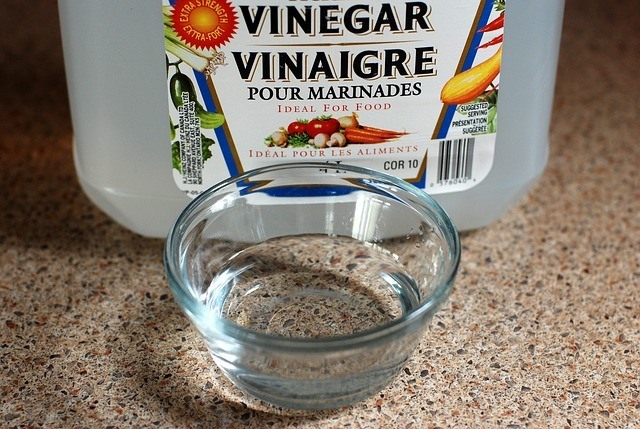 For ages people have been using vinegar in a motley of ways; eating it, cleaning with it, or as a curative aid - one of my friends has even used it in her bath water. But is vinegar good for dogs in the same ways? As it turns out, apple cider and white vinegar are just as beneficial to your dog as they have been for us humans. Inspired by all of the advantages vinegar offers to people, I wanted to share the ways in which vinegar is good for dogs; primarily how it can be a wonderful addition to your dog's diet. If you are wondering, is vinegar good for dogs? The answer is- yes! While lots of ﻿﻿human foods are either dangerous or inappropriate for dogs to consume, apple cider as an ingredient is not one of them. By itself it is unpleasant, however, in combination with water, manufactured dog food, or safe and unprocessed "people food", it is palatable. It also proves to be a healthy natural remedy. Before you give any to your dog to eat, make sure you have purchased the right kind. You’ll want to search for raw, unfiltered apple cider vinegar, which will look brown, cloudy, and curdled. This is sediment at the bottom of the bottle is referred to as “the mother” and it is indicative of good quality apple cider vinegar. This type is the one most often suggested as a dog food supplement because of its unique nutritional properties; minerals and vitamins, including magnesium, potassium and iron. Adding apple cider vinegar to your dog's diet, whether in his water or food can help boost his appetite and support his digestion. It aids in stimulating stomach bacterias that foster the breakdown of proteins and fats. As an additive to your dog’s meals it contributes to the absorption of nutrients. The acetic acid helps to extract more of the valuable minerals and vitamins your dog needs from the foods he eats. Apple cider vinegar is good for your dog's immune system and balancing your dog's body PH level. Proper PH balance is important, as it’s associated with your dog's overall health. It affects blood sugar levels, urine PH, and the ability to fight infections. As a detoxifying agent it helps to cleanse internal organs; liver, kidney, bladder, enabling them to function better. As a result, your dog will have an easier time combating environmental toxins that he comes in contact with whether they're ingested thru his body over the course of his day. Such toxins are not limited to road salt, grass fertilizer, and chemically infused household cleaners. Could Vinegar Be Harmful To Your Dog? Like everything else, not everyone agrees that apple cider vinegar should be used as a dietary supplement for your dog. Canine nutritionist Pat McKay, has even called it poison. More specifically, clear or white vinegar which is processed and void of the the nutritional properties found in apple cider vinegar is even less effective. The main concern is that vinegar adversely affects (some) dog's ph levels, which as I mentioned earlier influences his overall health and capabilities of his internal organs. There is also concern for dogs who have pre-existing conditions like diabetes, gastrointestinal disorders, or are on diuretics or other meds. Some dogs may also have an allergic reaction to ingesting white and or apple cider vinegar. One of the minor concerns is that your dog will drink or eat vinegar and get an upset stomach. In such cases your dog may become itchy, gassy, he may vomit, and or have diarrhea. So in sum, is vinegar, whether it's apple cider or white vinegar, harmful to dogs? It could be. Therefore, I always encourage you to consult with your dog’s veterinarian regarding any changes you integrate into his diet. Be sure that whatever he eats is appropriate for him, and make sure it doesn’t interfere with any existing conditions, including medications. How Much Vinegar Should My Dog Have? If you are interested in feeding your dog vinegar, you can start by adding 1 tsp to 2 tbsp (depending on the size of your dog) to his water and see how he does. This small amount of vinegar should give his his immune system a boost and also ward off fleas, ticks, and mosquitoes. Remember though to keep a separate bowl of clean drinking water in case the scent and taste don't appeal to him. Another option is adding it to canned food or sprinkling it over his kibble. Presumably, the scent and bitter flavor of the vinegar is hidden when it's added to the foods, but your dog might turn away from his meal anyway. Whatever the circumstance, if your dog will not or cannot consume vinegar, there are still other ways for him to reap the benefits of it. Hot Spots Or Skin Infections: Dilute apple cider vinegar with 3 parts water and apply to the area. Just be careful of any broken skin. For Fur Care - Healthy Shiny Coat, Nourishing Growth: Spray your dog with undiluted apple cider vinegar. For dogs with lighter coats use white vinegar to avoid staining. Household And Dog Mess Cleaner: Solution of 50:50 apple cider (or white vinegar) and water is often used as a household cleaner. 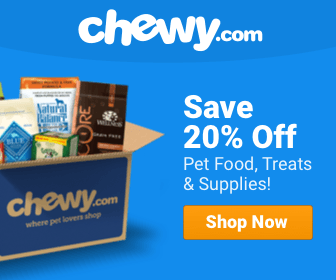 This is an excellent alternative to the store bought chemically infused products that are toxic to your dog. Depending on what you're looking to treat, these examples and other formulas will require more or less dilution of vinegar. If you search the web, you will find other homemade recipes that are a little more involved containing more ingredients and steps. So, can dogs eat vinegar? - some can! Your dog can consume apple cider vinegar and benefit from it in a variety of ways. I agree and believe in its potency and effectiveness. I have used it myself and with my pup but it is not a magical solution for good health and nutrition. It is a holistic, dietary and lifestyle supplement. If you feel there’s a need to supplement his food, maybe you should reexamine his diet. There are plenty of really high quality dog foods that can provide your dog the right nutrition without supplements. Can Dogs Eat French Fries Or Can It Make Them Sick? I’d like to know – if you can tell me – is red wine vinegar also good for dogs? I make applce cider vinegar but occasionally throw in a bit of old wine. I keep the apple cider pure for the dogs but it would be easier to have one master vinegar for all of us. Any insight? 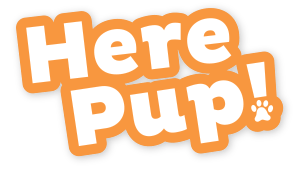 I would like to ask if it’s possible for an puppy less the 6 months old should be either eating or having it sprayed on her coat of the 50/50 ratio, but when we applied she started to get itchy where ever she was sprayed as If it was a but bite.